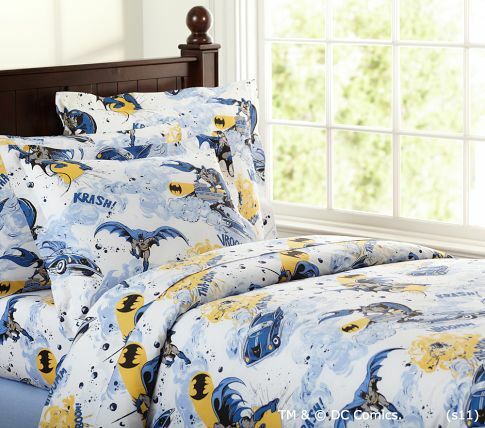 Over the last several years, Pottery Barn Kids has carried a variety of Superman- and Batman-branded merchandise, some of it retro style. 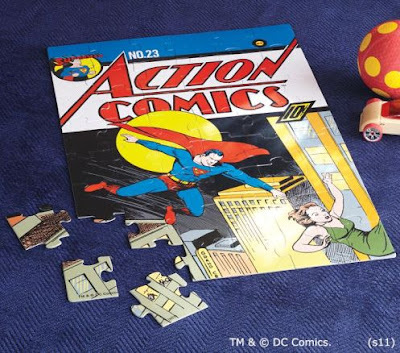 What better to do after completing a challenging puzzle than take a nap, and what better to do before a nap than read a book? Therefore, I have pitched PBK my book Boys of Steel: The Creators of Superman. The response: "We'll let you know if we're interested." I will be pitching them again with Bill the Boy Wonder: The Secret Co-Creator of Batman. If they take it, PBK will then stand for "Pow! Bam! Kapow!" What a great idea! PBK should take you up on that.